The Town of Edenton and Chowan County is strategically located between New York City and Florida. The region is rich in transportation resources that can support your business enterprise. Whether you are looking for movement by land, air or sea, services exist in the region that can fulfill your needs. When you are in Chowan County, you can experience the joy of living in a rural, coastal community and your business will have access to some of the country’s major metropolitan areas and international ports. 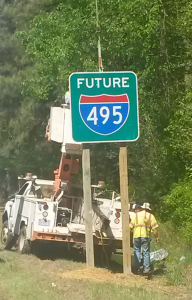 Highway 17 has been designated as the future I-87, tying Norfolk to Raleigh and passing through the anticipated and expanded CSX rail yard at Rocky Mount, NC, near the intersection with I-95. Chowan County has property available for development to serve the port at Norfolk, rail yards and international airports. 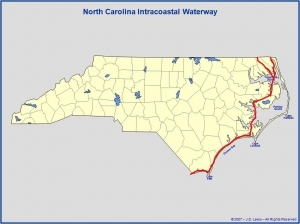 Barge service from Chowan County can reach all destinations on the Intercoastal waterway as well as ports in Morehead City and Norfolk. We may be rural, but we are connected. Many of the businesses in the region rely on an array of trucking services that range from local transport to long distance hauling. You will find products on the roadways that range from the freshest farm grown vegetables to metal components that are used in construction. 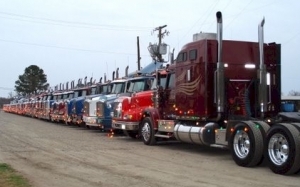 Trucking services are specialized and can provide regular and refrigerated hauling. Some, such as Southern Ag, carry specialized credentials in food handling and safety. On every day of the week you can watch trucks move product from our idyllic rural community to major roadways and ports that serve the nation and the world. Roughly 8,000 trucks a year move peanut products to and from Peanut Drive in Edenton. Much of that transportation provided by C.A.Perry & Sons. C.A.Perry & Sons provides commodity transportation to regional ports and across much of the nation. The company is a family owned and operated trucking company located in Northeastern, North Carolina. We operate approximately forty over the road trucks from three locations in Hobbsville, NC., Edenton, NC and Elizabeth City, NC. They also offer our trucks for hire and have authority in 33 states. Reach them via their web site. The region is also served by one of the best regional airports in the northeast region of coastal North Carolina. Presently, UPS and FedEx are the primary commercial users of the airport and are joined by executives and private citizens with their own planes. The airport is considered one of the area’s most unique transportation assets. The site was constructed by the military during WWII and after the war was given to the Town of Edenton. 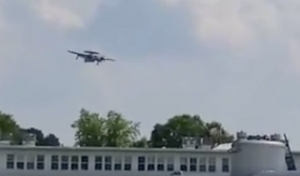 Hawkeye doing touch and goes on Edenton’s 7,000′ runway. The location of the facility provides clear and generous approaches to the runway and the updated technology creates ease in flying in and out of the facility. 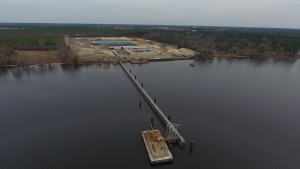 The site is complemented by the Edenton Chowan Partnership’s Airport Industrial Park Phase I & II. Edenton, North Carolina, USA) should look here. Because Chowan County is located on the Albemarle Sound, transportation by water is a unique enhancement to business operations in the county and region. Stevens Towing Company, Inc. is a midsize freight transportation company that has a Mid-Atlantic operation based in Edenton, North Carolina. Stevens Towing Company was founded in 1913, on Yonges Island and originally engaged in moving produce and passengers from local barrier islands to the Charleston market. Today Stevens engages in inland, coastal, and ocean towing. They have experienced operators, and a complete fleet of tugs, barges, and a ship for all freight and construction operations. Stevens Towing regularly services the East, West, and Gulf Coasts of the US, including the Western Rivers and Great Lakes. Edenton Bay is approximately 65 miles from the Port of Norfolk and 125 miles from the Port of Morehead City which creates outstanding access for local business to the international market. For more information on their new and expanding Chowan County facility, take a look at their web site.